IMHO, this was the best moment from the SuperBowl commercials. I like how his absence made the Steelers take a dive so hard that they missed the playoffs, and the whole time since, those Head n Shoulder ads kept running, “Troy Polamalu, big time players make big time plays.” Its funny! 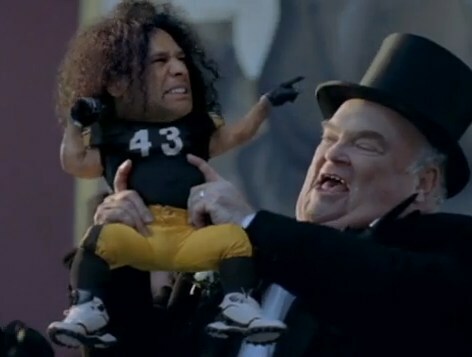 Punxatawney Polamalu saw his career won’t last forever! True, the Steelers’ pass protection was piss poor all year after his injury, but then they didn’t make the playoffs the year after beating the Seahawks in the Super Bowl, either, so I won’t give up on win number 7 yet. #7 is playin better than ever. #43 is clearly a lynch pin.